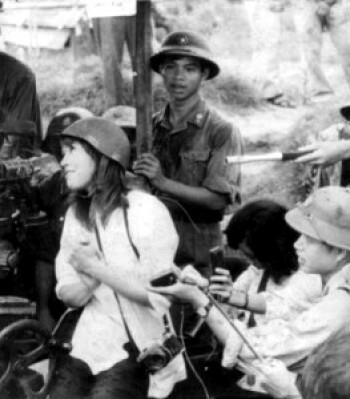 Unrepentant communist-supporter ‘Hanoi Jane’ Fonda will deliver the commencement address at UCLA in June. Two-time Oscar winner Jane Fonda will deliver this year’s commencement speech to UCLA‘s School of Theater, Film and Television grads on Friday, June 13. Fonda made her screen debut in 1960′s Tall Storyand went on to star in over 40 films including comedy classics Cat Ballou and 9 to 5. Dramas They Shoot Horses, Don’t They?, Julia, The China Syndrome, On Golden Pond, and The Morning After nabbed her Academy Award nominations, while her turns in Klute and Coming Home won her the Oscar.